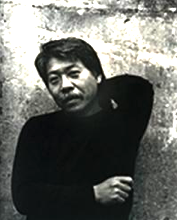 BERKELEY — George Miyasaki, 78, professor emeritus in the Department of Art Practice at UC Berkeley, passed away Oct. 21, 2013. Born in 1935 in Kalopa, Hawaii, he first came to the Bay Area in 1953 to study commercial art at the California College of Arts and Crafts. Inspired by the Expressionist artists of the Bay Area figurative movement, including his teachers Richard Diebenkorn and Nathan Oliviera, Miyasaki soon shifted his aspirations towards the fine arts. His early lithographs were quickly recognized for their spontaneity and expressive brushwork. After teaching at CCAC and Stanford University, in 1964 Miyasaki became a full professor at the University of California, where he taught for over three decades. While an accomplished painter, it was Miyasaki’s pioneering work in the field of printmaking that earned his place in art history. His works are included in numerous museum and public collections, including the Art Institute of Chicago, the Museum of Modern Art, San Francisco Museum of Modern Art, the National Gallery in Washington, D.C., the Metropolitan Museum of Art, and the Whitney Museum of American Art. He is survived by his daughter Julie Miyasaki of Montague, Siskiyou County, and two sons, Michael and Farrell Miyasaki, who reside in the San Francisco Bay Area. A memorial exhibition of Miyasaki’s paintings and prints spanning 1953 through 2013 will be featured at the Worth Ryder Gallery on the UC Berkeley campus. The opening reception is Wednesday, March 19, from 4 to 7 p.m. The public is invited to attend. For directions and campus map, go to www.berkeley.edu/visit/.